Supplier to the royal courts since the early 19th century and one of the world’s oldest perfume houses, Lubin is steeped in luxury and history. Miomia is proud to carry three of Lubin’s most famous and alluring scents. “Idole” by Lubin is a heady blend of saffron, bitter orange, rum absolute, black cumin, bitter orange peel with heart notes of doum palm, smoked ebony and sugar cane. Lingering base notes of leather and red sandalwood complete this exotic creation. To purchase Idole, click here. “Le Vetiver” by Lubin evokes the legendary creatures that live in the deepest of Celtic forests. It combines citrus with exotic spices overlaid with the magic reminiscence of mysterious forest undergrowth. To purchase “Le Vetiver,” click here. “L’Eau Neuve,” created in 1968, is the fresh-scented reflection of a carefree freedom-loving era. Its citrus, spicy and woody notes combine in the most natural composition. To purchase “L’Eau Neuve,” click here. Miomia is thrilled to exclusively launch Absolution in the United States! Forgive me, but organic is so last year. The latest buzz in beauty and grooming is bespoke: unique, customizable products that suit the mood or state of your skin. Absolution is a luxurious unisex skincare line (that also happens to be certified organic) from Paris. Its sleek, chic look and clean, targeted formulas make Absolution not just a pleasure, but a joy to use. In short, Absolution offers a modern approach to beauty: a shorter range of products, more simplicity, highly organic/natural formulas that are customizable to your skin’s different moods, which change from morning to night. Absolution’s lineup currently includes a day and night cream, men’s face cream, cleansing toning water/makeup remover, and 4 serums to boost your moisturizer and adapt to your skin’s current mood. To learn more about Absolution (and to see their charming website), click here. My dear friend Uli recently dropped off a bottle of his newest potion, Nightscape. The packaging is clean, sophisticated, and quintessentially New York. The outside sleeve presents a twinkling, evening nightscape of our city, photographed by American photographer Matt Licari. But onto the scent…the scent. Nightscape is warm, rich, and woody. When I asked Uli how he would describe this alluring scent, he smiled and simply replied,”A modern patchouli.” I couldn’t believe it…patchouli? Really? 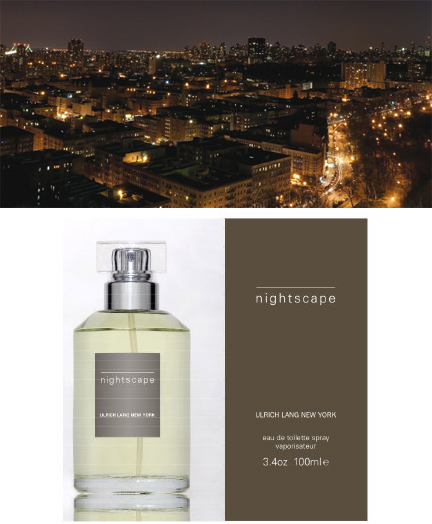 Nightscape took me leaps and bounds beyond the headache-inducing “patches” of my collegiate past, by intertwining notes of bergamot, jasmine, geranium, cedarwood, leather, musk, amber, and tonka bean. So here you have it: a new patchouli for all. Purchase your own bottle of Nightscape here. You are currently browsing the miomia's musings : miomia apothecary blog | shopmiomia.com blog archives for November, 2009.